It has been a long time since AMD ([stock_quote symbol=”NASDAQ: AMD”]) unleashed a new CPU into the PC landscape, but that is about to change. Today AMD has confirmed that the Ryzen 7 lineup of processors will hit retail starting March 2, 2017, with pre-orders open Today at 1:00 p.m. EST. The Ryzen 7 lineup of CPU’s boast an impressive lineup of specs, with the 1800X reportedly out-performing the similarly configured 8-core, 16-thread Core i&-6900K in Cinebench and handbrake video transcoding tests. It is also boasting similar performance when 4K gaming, all at a much lower power consumption and price point. With the Ryzen, AMD has priced the full lineup at a very affordable point. The highest end in the range, the 1800X with a base clock of 3.6, a boost clock of 4.0 will cost consumers $499USD, while the 1700X running at 3.4 base, and 3.8 boost will cost $399. Finally, the 1700, the lowest in the Ryzen 7 range will run at 3.0, with a boost of 3.7, and an included Wraith Spire cooler will only set you back $329 USD. With VR, and the rise of 4K gaming, AMD could not have picked the better time to jump back into the PC CPU race at full force. The Ryzen 7 lineup is looking to be an exciting offering, and if AMD is able to pull off the boosted performance in real world testing it could easily change the enthusiast building market landscape. 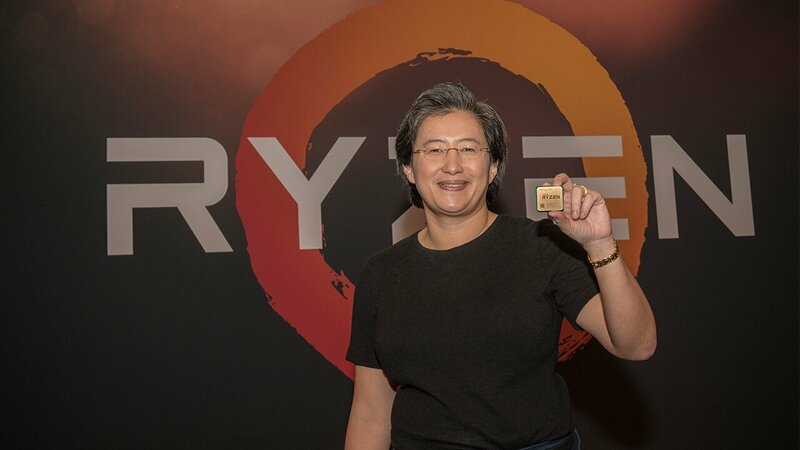 For more details on the future of Ryzen, along with details on AM4 motherboards and compatible thermal options, AMD CEO Lisa Su will be doing a AMA on March 2, 2017 at 11:30 a.m. CST on the AMD Reddit. CGMagazine will have a full review of the Ryzen Lineup closer to launch.